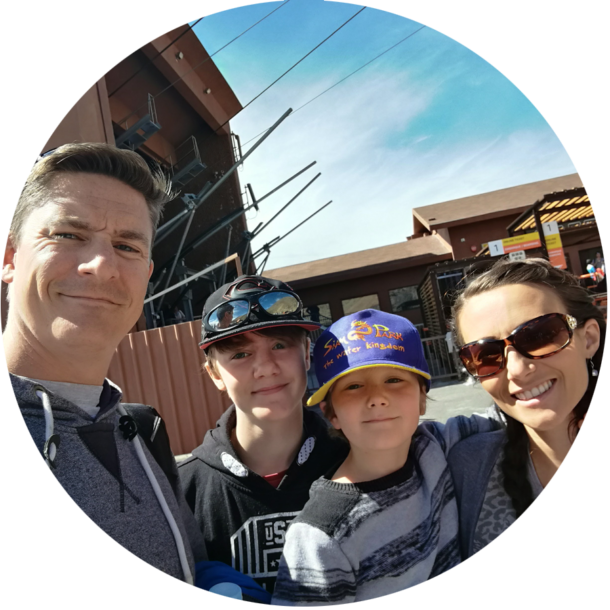 When I planned our trip to I had a tight budget to stick to and two kids to entertain around the clock. I needed to find free things to do with kids in Tenerife or we’d be living on baked beans for the whole month. I’m going to be honest, the main tourist attractions here are pretty steep and a family day out will likely cost you upwards of 100 Euros. 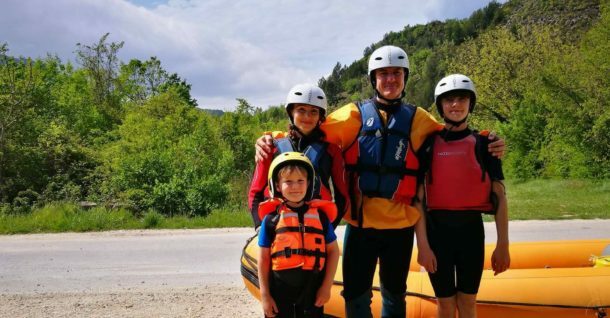 If you’re travelling with teens, it’ll cost even more, as they like to charge adult prices for kids over 12 here. 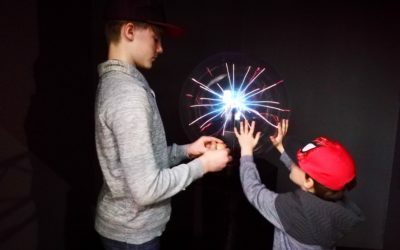 Anyway, as we were planning a long trip we needed to find lots of fun stuff to do, that wasn’t going to break the bank. 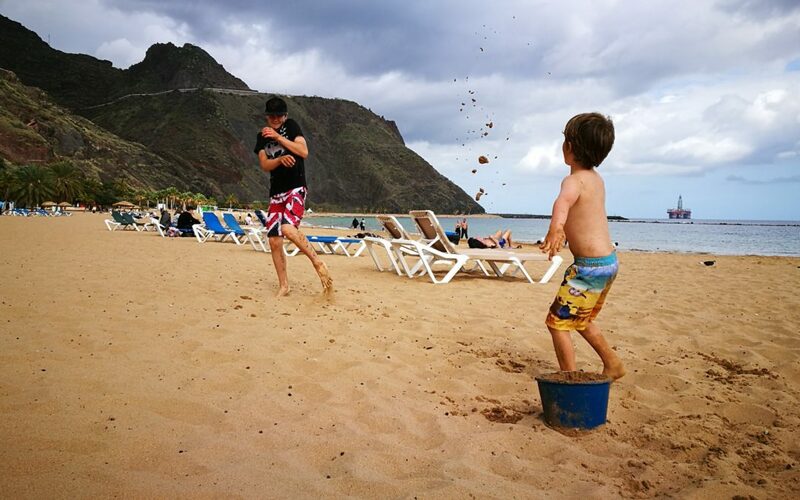 I made it my mission to find free things to do in Tenerife, that would keep the whole family amused. 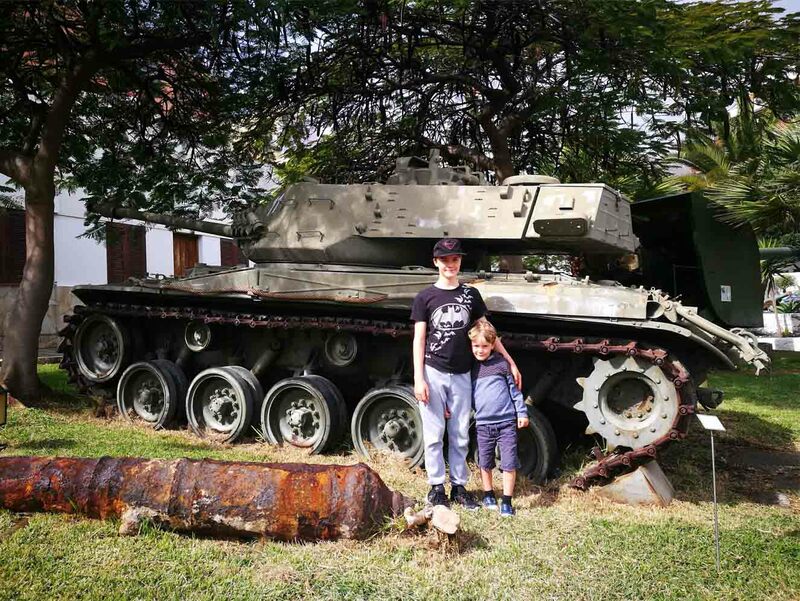 We found some pretty awesome places to go with kids in Tenerife and none of them cost us a penny! I’m sure you’ll love them too. Happy travels! 1: Explore The Anaga Mountains. 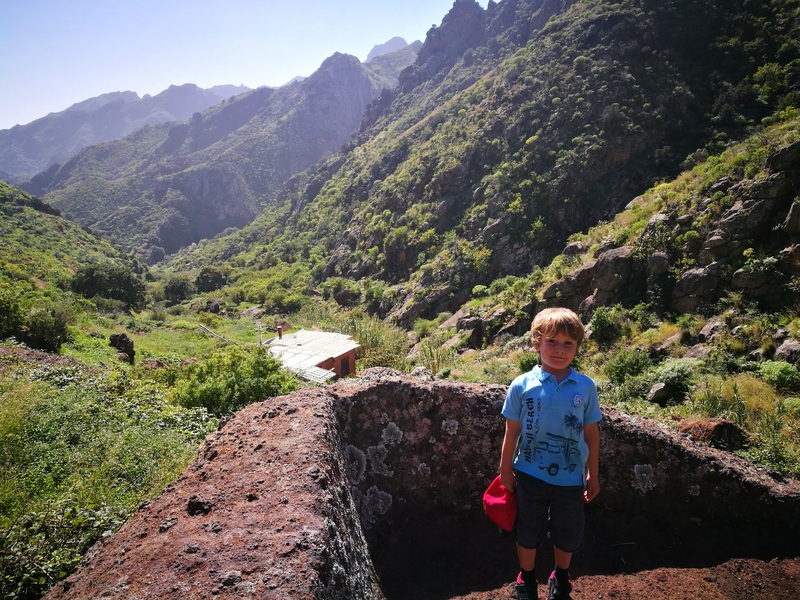 One of my favorite places, the Anaga Mountain range gives you everything you need for a fun day out with the kids in Tenerife. Drive through the windy mountain roads, up into the spooky forest where you can choose one of the many, sign posted paths. My boys loved this place, with it’s fairy tale feel and wild environment there was plenty of space to run and play. 2: Go To Las Teresitas Beach. With stunning white sand, gentle lapping waves and free parking, we spent many hours on Playa Las Teresitas. Located just north of Santa Cruz, this beautiful beach is often quieter than the more touristy areas in Las Americas and is a very safe place to swim. Build a sandcastle, bury your feet in the sand or just laze the day away in the sun. Another hidden gem, this little town on the north coast of Tenerife was full of little surprises. Time it right, when the tide is out and you can walk right down into the rockpools by the sea. Explore the hidden pathways and see if you can find any stranded sea creatures too – we spotted a Portuguese man of war when we were there! Having visited Tenerife with my kids several times I have no idea why we waited so long to come here. 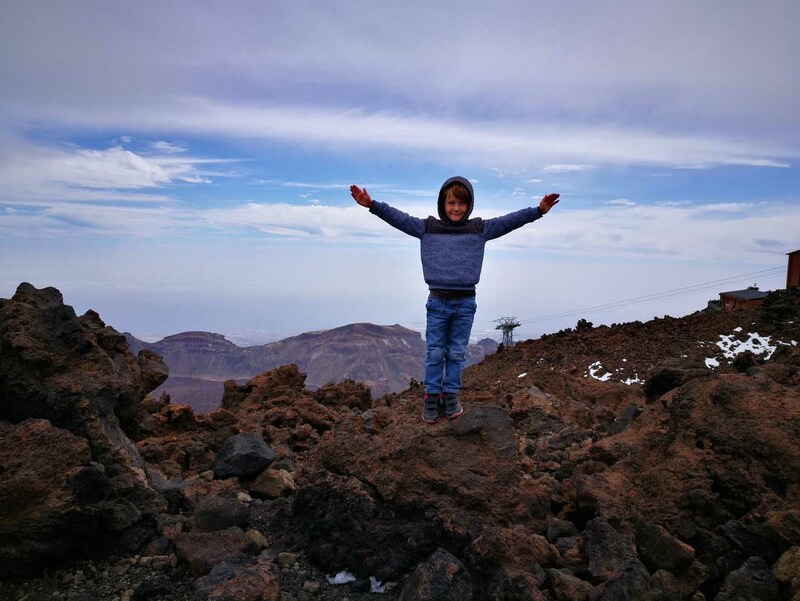 Teide National Park offers you plenty of opportunity for adventure. Drive up through clouds and into the ancient forests before reaching the mars-like volcanic region. There’s loads of view points and plenty of places to enjoy a picnic. 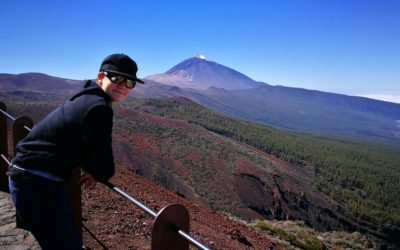 If you fancy a trip to the top of Mount Teide Volcano then click here to find out what you need to know. A fun place for kids who need to run, climb and jump. 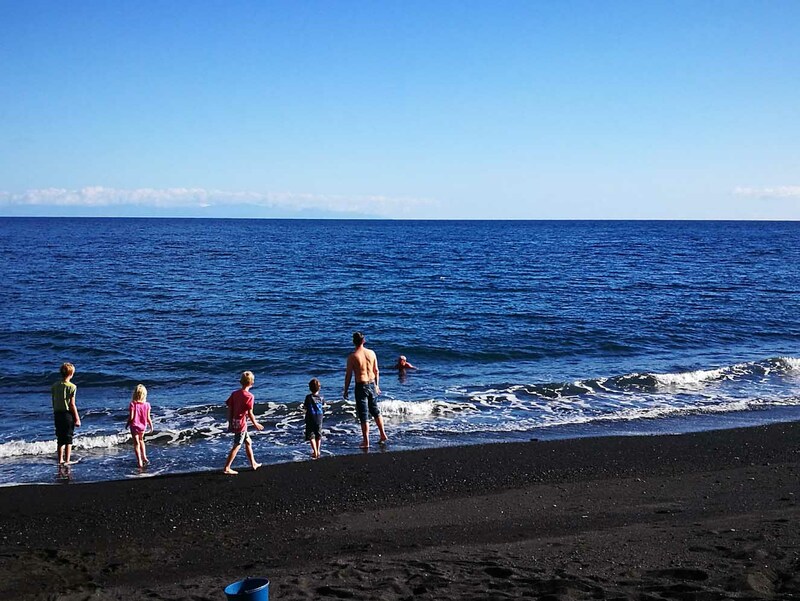 El Nea beach is a small,black beach that’s pretty unknown to tourists. You get to it by driving down a small road made up of several hairpin turns, with free parking at the bottom. Hang out at the beach or head up the steps to find a really great play park suitable for kids of all ages. 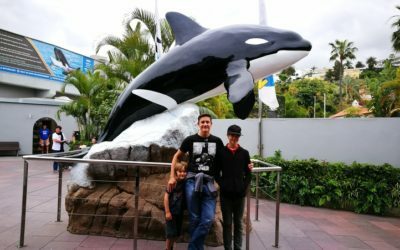 My boys (6 & 12) loved this place and we visited several times. 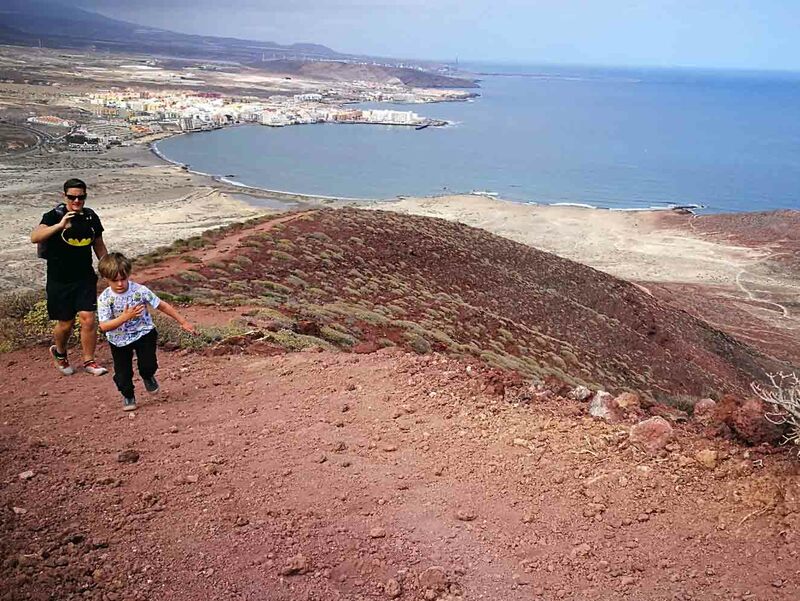 If you’re keen to burn off some of your kids extra energy and check out some awesome views at the same time, then Montana Roja is for you. 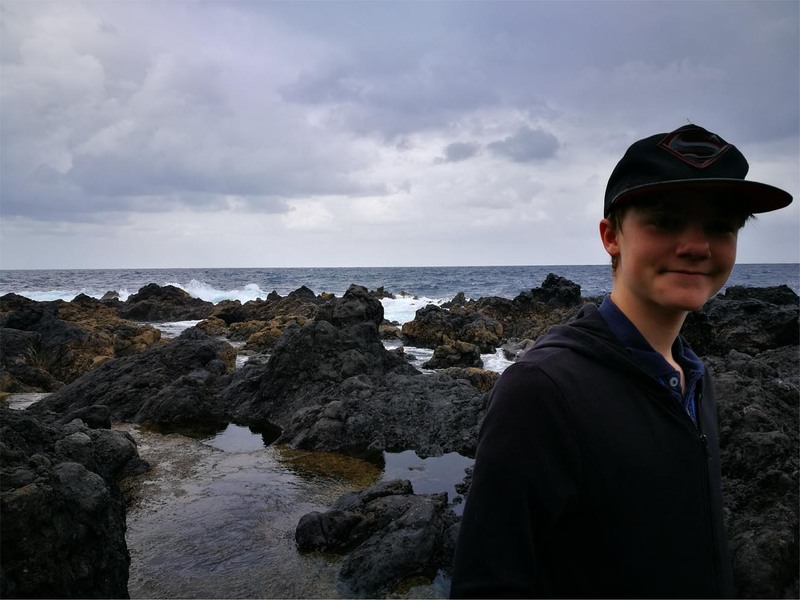 Make your way up the volcanic rock pathways to the peak of the mountain where you can relax and take in the scenery or do a spot of lizard spotting too. It’s a fairly easy climb (my 6 year old managed it ok) but make sure you wear sensible shoes and take some water!